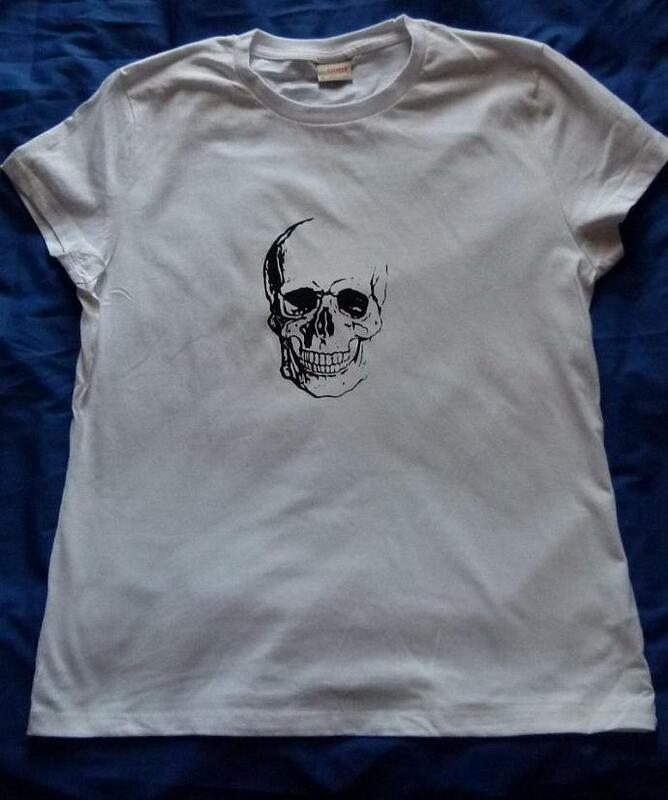 The image has been screen printed by hand using black ink on a white t-shirt. Hand screen printed, water based ink, heat cured for lasting print. I recommend washing t-shirt inside out in cold water to prolong print vibrancy, hang dry.